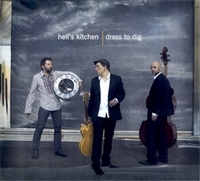 Rural roots, urban rock and tribal trance are the main ingredients of the new blues recipe brewed by Hell's Kitchen, with a little help from Rodolphe Burger (former leader of legendary European underground band Kat Onoma, no less). The surrealistic Swiss group fuses post-industrial influences and gutbucket blues with primal, hypnotic energy, light years away from the bland politically correct sounds of FM radio, from the creative vacuum of soulless virtuosity. Regardless of its non-EU origins, Hell's Kitchen proudly boasts European roots and American influences on this mindboggling piece of recording.